We are finally on a powered site at Kingscote, so I can keep you up-to-date on the events of the last few days. 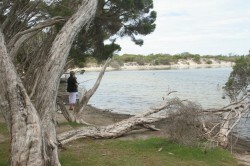 On the last day at Brown Beach, we drove to Penneshaw and had a BBQ on the seafront, near Frenchman’s Rock. (This is where the ferry terminal is.) There is a rock there with an engraving by Nicholas Baudin and his crew, from the French corvett, Le Geographe. 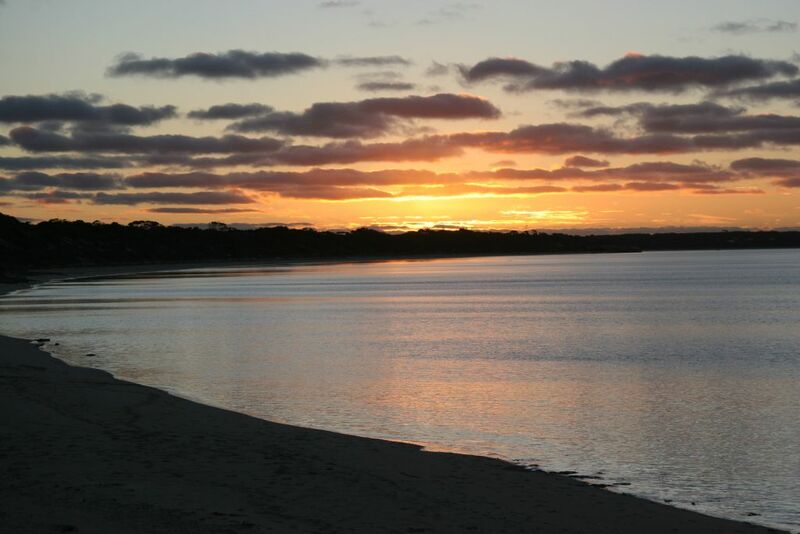 Baudin had sighted another ship, captained by Matthew Flinders! 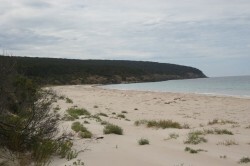 Despite Britain and France being at war, both exchanged information about their explorations, with Flinders advising him of the large island nearby where he could replenish his meat and water provisions. There was a wonderful sunset over Brown Beach on our last night. The next day, we moved to Lashmar Conservation Park on the eastern side of the Dudley Peninsula. 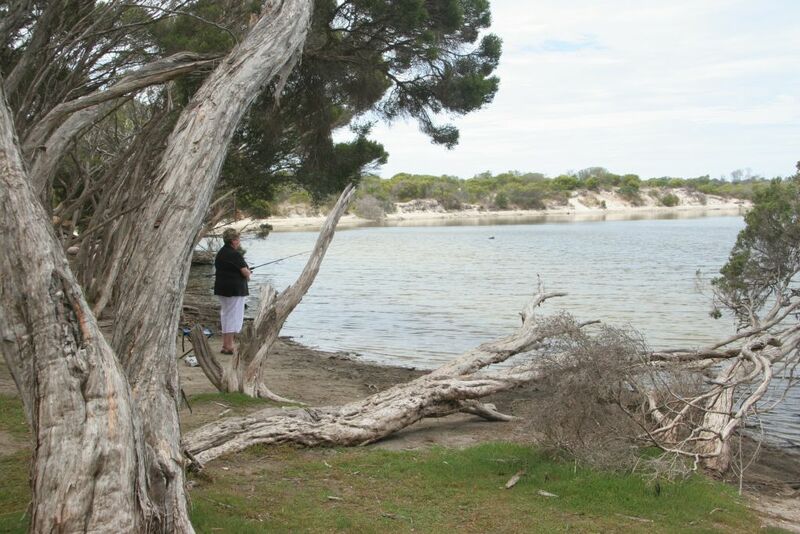 We found a great spot, (in the West campground), which was elevated, giving us a view of the beautiful Antechamber Bay and a short walk to the Chapman River. We were spoiled with very clean septic toilets. There are no cooking facilities, apart from those on the other side of the river, about a 3 Km round trip by road! The National Parks Authority took down the bridge for OH&S reasons, a local told us. Small mallees, melaleucas, native pines, shee oaks and wattles are abundant, with the melaleucas giving shade all day beside the river, where I fished and Russ did cryptic crosswords for hours. I only caught 2 small bream and Russ caught 1 small one also, but not big enough to keep. It was fun though, they put up quite a fight. 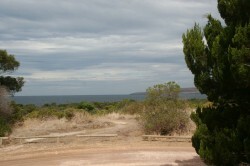 We had a great view from our campsite of the bay. Walked down to a lovely beach on Antechamber Bay, but it was too cold for a swim.